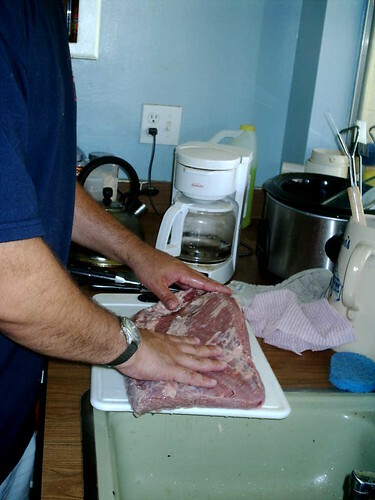 Brisket prep, originally uploaded by academy252. hehehe -- we bought a briskit today too. Is that a large grooved cutting board I see?? ?